Say it with white! 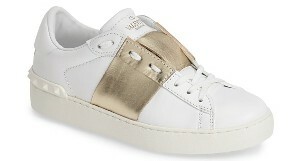 Rock a pair of white sneakers as a fashion statement this season. Check out our top 10 picks from Nordstrom. Just click on the photos to shop each fab designer pair. Rock a cool pair of shoes made with leather, genuine calf hair and suede! A signature visetos print upgrades a cool, eye-catching high-top designed for the urban jungle. 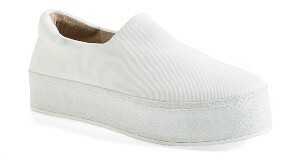 Back heel cushioning and an amplified collar add comfort to these street-ready kicks. 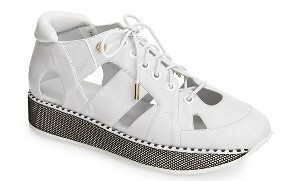 Geometric cutouts and a mesh-wrapped platform add unmistakable modern appeal to a sleek, streetwise sneaker cast in smooth leather. 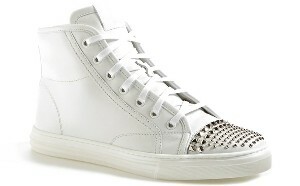 White shoes are taken to a whole new level with precious stones and beads! 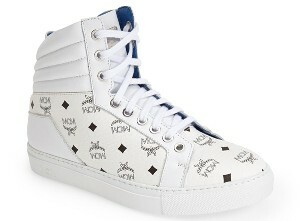 A retro high-top goes modern in smooth leather and precision-placed studs. The style shines on with Gucci’s logo embroidered at the tip of the tongue. This laid-back sneaker stays sophisticated thanks to the subtle, textural interplay of its suede bumper and frayed satin trim. A bold platform dials up the profile of a slip-on sneaker that echoes the ’90s California cool of designers Carol and Humberto’s playground days. Perforated leather updates the iconic profile of a streetwise high-top sneaker crafted with dual side zippers for added edge and a flawless fit. Streetwear goes high fashion with this sporty calfskin sneaker trimmed with tonal rubber studs and a bold swath of color. 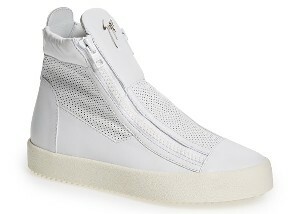 A tall rubber platform lofts a lace-up sneaker from Alexander McQueen, with a removable, padded insole that provides signature comfort. A vibrant-hued panel offers street style to the laid-back silhouette.